better than the other indicators? If you have been following me through LuckScout, you know that I only use candlesticks and Bollinger Bands. Many of my friends do exactly the same, and they are among the most successful traders. 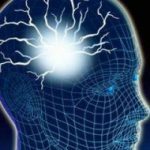 There are a couple of articles about MACD on LuckScout. 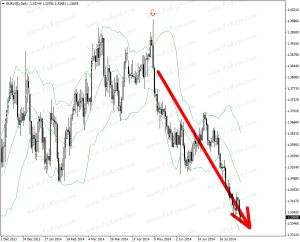 I recently published a new article about this indicator: How to Use MACD Indicator? 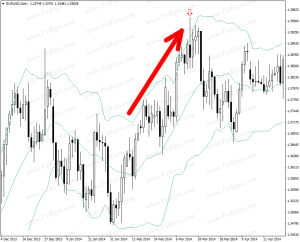 In that article, I have explained how to use the MACD to locate the trade setups through the MACD Divergence and Convergence, and the other ways that can be used to have the candlestick signals and patterns to be confirmed by MACD bars. I strongly recommend you to read that article carefully. After candlesticks and Bollinger Bands, MACD is the first and last indicator I may want to use on my charts. I know there are some articles published on LuckScout by my other friends that use some other indicators like RSI and Stochastic. They believe on those indicators and use them successfully, but from my point of view, it is not necessary to have them on the charts. Of course, please consider that my trading style is different from those friends. I believe my trading method is much simpler and easier. I like to simplify everything and lower the complication and stress as much as possible. I have been like this in everything, from business to personal life. I love simplicity and ease. I want to help you have the same simplicity in your trading, because it has worked for me so far, and I am sure it will work for you too. This simplicity is one of the things you need to become profitable (if you are not already profitable of course). If you are profitable already and you are happy with your trading system, then there is no point to change anything. But I am sure most of this website’s visitors are still on the way to become profitable. So my ideas work for them. Why Do I Love the Japanese Candlesticks? Good question. When you want to buy/sell and make money, your information has to be accurate and up-to-date. Out-dated and inaccurate information cause you to make mistake and lose money. For example, when you want to invest in the real estate market, you have to know about the price of houses, apartments and lands in different cities and areas. You have to know whether most people want to buy, or they prefer to sell what they have. You have to analyze the real estate activities of each area during the past few years. You need a lot more information like this to decide. Although real estate market is great to make money, some people lose in this market because they trade without accurate information. 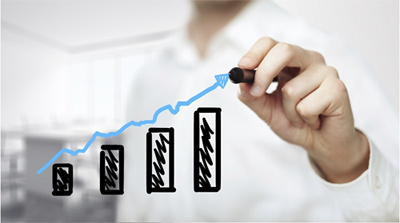 It is the same with any other businesses, specially stock and currency trading. Candlesticks are the most accurate and real time indicators. A line chart just shows you the price which is not important for us at all. Who cares if the EUR/USD price is 1.4000 or 1.6000? What we do care about is that whether price is going to go up or down. This is what we have to know to trade. Traders are the building units of each market. When most of them buy, the price goes up. When most of them sell, the price goes down. What makes them decide to buy or sell is not important for us. Whether most of them will buy or sell is the most important thing for us, because it tells us whether we should buy or sell to make money. Candlesticks tell me whether most of the traders want to buy or sell. It is not only that. They inform very fast and without any delay, so that I can be on time enough to enter the market. What other indicator could give me such an accurate signal? Nothing. 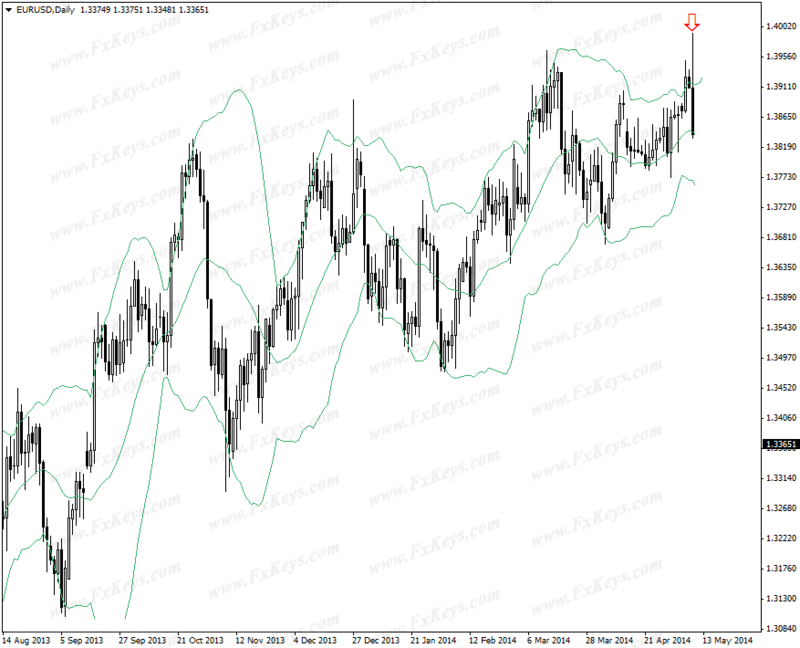 Why Do I Use Bollinger Bands? Having a Bollinger upper or lower band breakout is a great help to know whether the candlestick pattern I locate is strong enough or not. When there is a strong breakout, then I take the signal with more confidence and peace of mind. When there is no breakout, or there is a weak breakout, I will think more, and in most cases I ignore the trade setup. We have already given too many examples. As you see there is a strong upper band breakout, but trend is too sharp and it is risky to go against the trend. The BB middle band is good for taking the continuation trade setups when there is a good and strong trend. 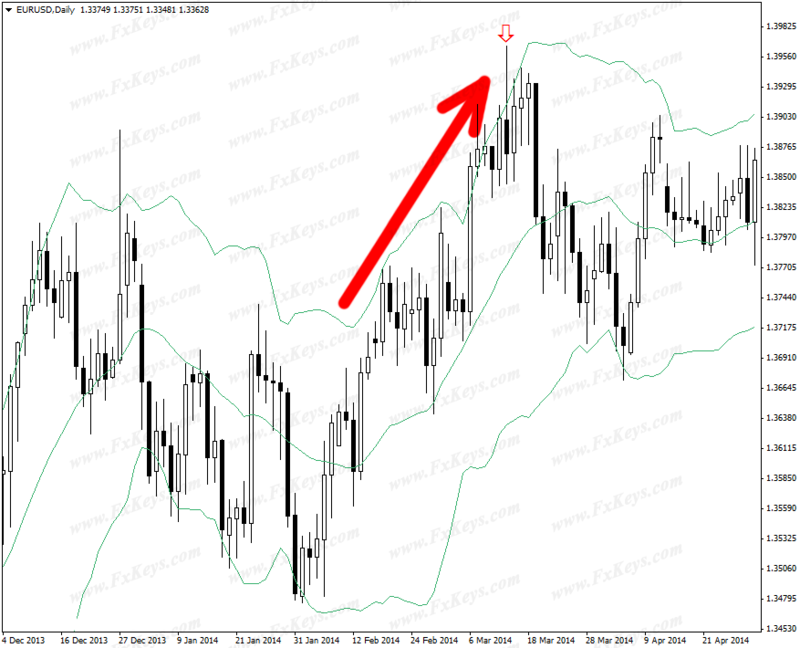 #1 is the same strong bearish engulfing we already talked about it above, formed by the 2014.05.08 candlestick. According to this article, MACD bars also confirmed the trade setup. Please note that when the candlestick pattern and BB breakout are really strong, I do not care about anything else. I mean even if I had the MACD on the chart and it was against the 2014.05.08 candlestick pattern, I would not care. #2 is the same example I showed you above regarding the angle of the Bollinger Bands. As you see, MACD bars also do not confirm the short trade setup. They are going up strongly and are saying that we should not go short. It means MACD is a good indicator too. It is great to confirm the trade setups. However, it is not a must to have it on the charts if you know what candlestick patterns to pick. I will have a separate article about RSI in future. However, I am just showing you some examples to tell you that RSI also forms divergence and convergence. 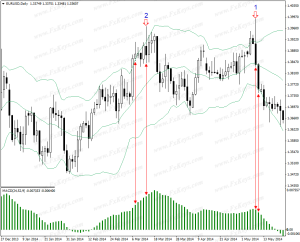 Like MACD, RSI divergence and convergence are good reversal patterns. In most cases, when you have both indicators on the charts, they both show the divergence or convergence at the same time. In addition to this, RSI has something that the other indicators don’t. It forms support and resistance lines that their breakout is an early signal of the support and resistance breakout on the price. I will explain about this in a different article. So, RSI is a good indicator too, but not as good as MACD. I don’t have any of them on my charts (neither MACD nor RSI), because as I said it is not necessary to consult these indicators when you know what candlestick patterns to wait for. What About the Other Indicators? The only thing I can say is that you’d better to forget about them. Stochastic is the most famous and popular indicator, after MACD, RSI and Bollinger Bands. I believe it is nothing but a money sucker. It is terrible for taking the reversal patterns. The price still can keep on going up or down for too many candlesticks, even when Stochastic reaches the overbought or oversold area. You will learn it when your stop loss is triggered. Moving Averages are also useless. The only moving average that works is the Bollinger Middle Band which is a 20 simple moving average. The other moving averages don’t work. There are so many other indicators like Parabolic SAR, ZigZag, Fractals, CCI, and… . Anybody can create an indicator. All of the indicators are calculated from the price, through some special formulas. Only a few of them that I explained above can help us. The rest just plot some lines or points on the charts. Many of them redraw or repaint. We’d better to forget about them if we want to trade currencies for a living. Those who just want to speculate and have fun, can spend their time on these indicators to see how they work. Which Indicator Do You Prefer the Most? I have some other ways to trade. Hmm. I’m so blessed for this great article. Can only say thank you for all of your input. Great articles… Owe you dude…. What is your opinion/experience about Fractals? Do Fractals give correct indication about trend? Are they reliable? As far as I know this indicator is used to repaint and redraw. Have you noticed that? Now im a little bit confused, if the Moving average is useless, why does it occur that the 50 MA system is one of the LuckScout trading systems that we follow? Moving averages are tricky. However, 20SMA which is Bollinger Middle Band and also 50SMA can be used for trading. if you don’t mind me asking how many setups do you usually locate? I started my demo account two weeks ago and there are so few strong setups on the charts. Or maybe I can’t locate them and it makes me really sad. I think few setups is a blessing and I really love you’re style but I only have a wining trade in two weeks and I started with 1000 demo. Thank you. I love the system still and market analysis page. Maybe I get better at locating strong setups. We usually cannot locate more than a few setups per month. 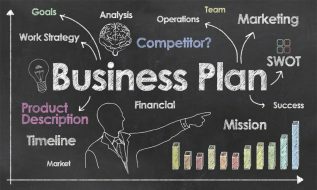 However, we have learned to hold our positions and maximize the profit. Some of us are still holding some positions since several months ago. Thank you for those words, there is still much for me to learn and I’m glad to have found you and you’r site. Dear, can you estimate how many pips per month in average you do? Thank you. It can be different from month to month. Besides, I hold some of the positions for several months. Dear, can you tell which position you manage to hold that long? Thank you. what do you mean? are asking about the specific positions that I have taken or you want to know how to hold the positions in general? Dear, I meant the specific position you have taken or you are holding right now. Actually to know how to hold long positions would be helpfull as well. 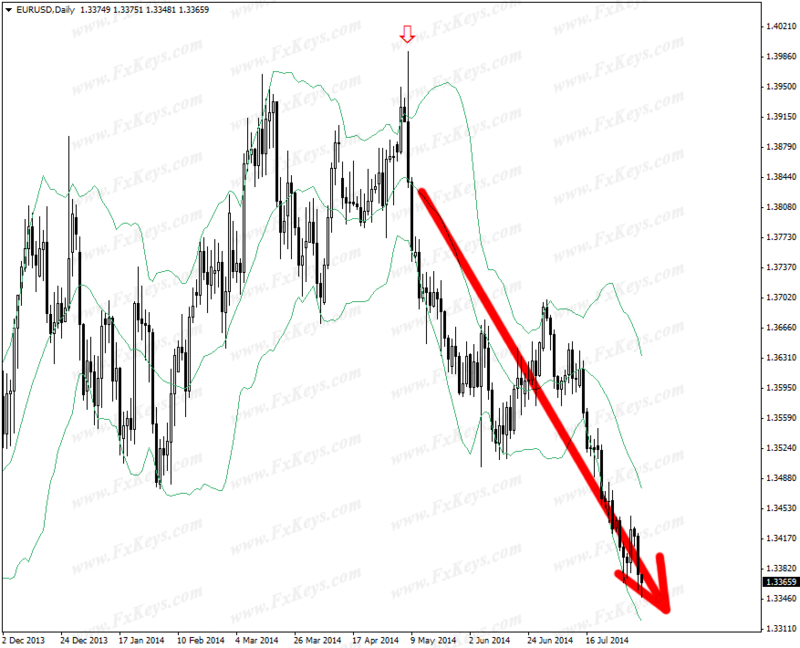 Sometimes, like NZD/USD short position, it is too expensive. But when the trend is too strong, it recovers the swap easily. After my recent trades I’m adding MACD to the charts, I am still a beginner and I think that would have helped me with the setups that hit the stop loss a bit. Can’t wait for the RSI article too. I think we novice traders can use those to help us perfect our reading of the charts. 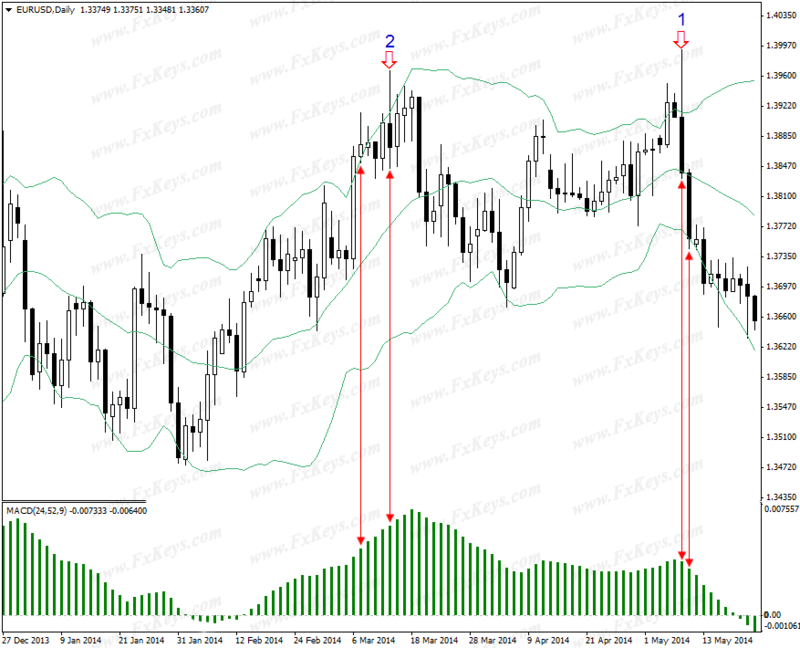 I just read the article about Stochastic Oscillator from Kamel and I liked using that indicator for practise. Just a bit bummed now that you think it’s a total money sucker. your articles are awesome, i guarantee youmthat you will go to heaven for your pious deed of sharing so precious knowledge. 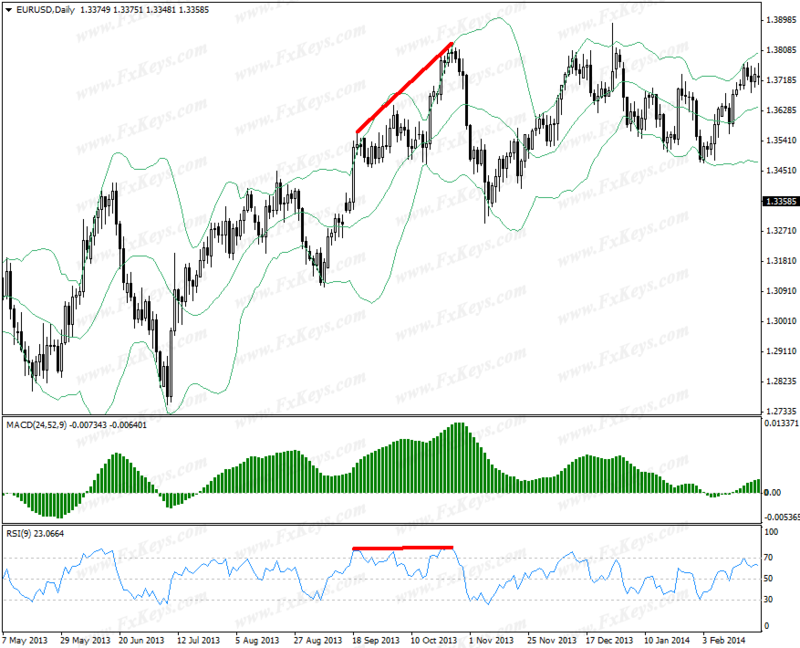 1. i cant understand your 5th picture, where you said rsi divergence is not confirmed by macd. 2. (another question about breakout) whenever any candle which can be bullish or bearish breaks the support or resistence then it is a reverse signal ? 1. MACD is going up which is against the RSI direction. 2. Please share a screenshot, so that I can understand what you mean exactly. one more other third question is that you said only bolliger middle band works which is twenty moving average,,,does it mean that we should set bollinger band on 20 time period and another moving average of 50………to see the result that if bollingermiddle band will cross moving average of 50 then it will be an uptrend ? We use the default settings of BB which is 20. Yes, you can combine 50 SMA with BB. Frankly speaking … I can not say that I do not like MACD ! Does Bollinger Bands repaint on the charts? Meaning does it adjust its Bands in the past as each candlestick appears.